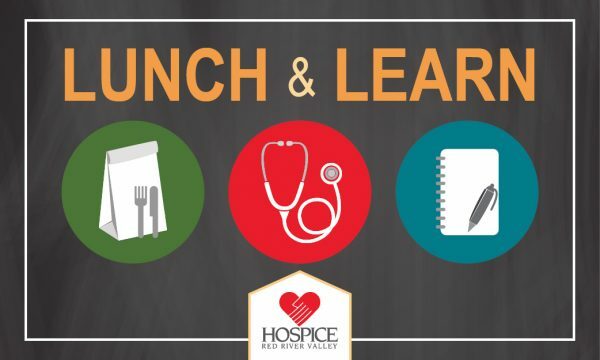 Hospice of the Red River Valley hosts bimonthly Lunch and Learn events on the second Tuesday of each month (January, March, May, July, September and November) from noon-1 p.m. at multiple Hospice of the Red River Valley office locations. With a variety of professional speakers throughout the year, Lunch and Learns explore various topics related to end-of-life care. They are free and open to all health care professionals and typically provide a social work continuing education unit for each session. Join our email list for health care professional resources to be automatically notified of upcoming Lunch and Learn dates and topics. Click here to register for our next Lunch and Learn session.